Saree – the most graceful attire that enhances the beauty of a woman. No matter how modern we tend to be, we all would have tried wearing a saree. Saree is the only attire that gives an elegant and charming look to a girl, which no other outfit gives us. But Do you know to drape a perfect saree without any flaws? 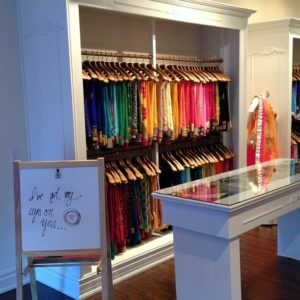 If your answer is No, Then this blog is for you… In this blog, we are going to let you in on the secrets of draping a perfect saree and different styles of saree draping. The first and foremost thing is the petticoat. Choose the right petticoat based on your saree type. Though it stays behind the saree, it plays a vital role for a perfect saree. These petticoats come in different fabrics like cotton, silk, satin, shimmer satin, embroidered, and Crepe. You can also wear petticoats like Mermaid cut petticoats (commonly known as Shapewear), and Can-cans petticoats based on your need. Do you know which petticoat is best for saree? Based on the saree fabric, the petticoat varies. For cotton and handloom silk sarees, cotton petticoats are a wise choice. Silk petticoats are most comfortable in the winter season, and they can be paired with heavy silk sarees. Satin petticoats are generally smooth, so chiffon and georgette sarees look good with them. 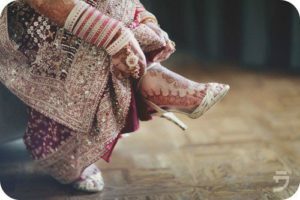 If your saree is a crepe type, then crepe petticoats are the best choice, as they will not change the flow and shape of the saree. Avoid mermaid petticoat for silk sarees as it will make walking difficult. Next, when you wear the petticoat, make sure that there are no wrinkles in the front. If you want to make your petticoat stay tight on the waist, then make sure that the drawstring is in cotton, no matter what the petticoat fabric is! Here is the answer to the commonly asked question where to wear the petticoat! Below or above the navel? Wear it just below the navel to make it look better and comfortable. This will help the saree to cover the contours in your body and elongate your frame. Next comes the pleating of saree. If you pleat the saree well, then half the battle is won. Based on your body type, adjust the pleat. A maximum of 6 pleats in the pallu gives an elegant look to any body type. Each pleat of the pallu can be 4 to 5 inches wide to attain the 6 pleats. If you’re a beginner, then pin your pleats to align it right and stiff. Do you know how many pins are required to drape a saree? 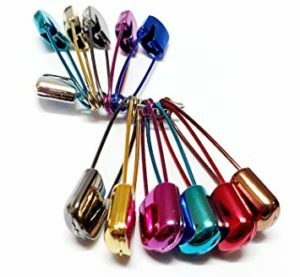 For a beginner, a maximum of 5 pins is required. More pins will kill the shape and look of the saree. So try to avoid more pins while draping and avoid using silver pins for all kinds of saree. Go for saree colored pins to avoid making the saree look odd. Use pins in such a way that they are draped inside the saree, especially for netted and georgette fabrics. When it comes to front pleating of the saree, it depends on your comfort level. 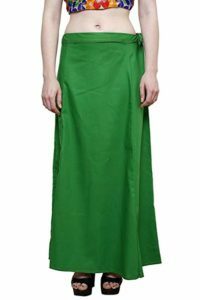 For a perfect shape, pleat the sari nice and sleek, and pin it in again. This will also make you look taller. And here comes an important point! While tugging the pleats in the waist, make sure you flatten the pallu inside. Else it gives a fluffy look to your tummy. If you want to hide the extra pounds in your body, then printed saree is the right choice. This will give your body a toned-down look, with everyone’s interest on the saree, taking their attention away from the extra pounds. Oh, and how could we forget? If you want to make your silk saree pleats stiff and stable, try out this trick! After pleating the saree, use your hair straightener to iron your pleats. This will give them a neat finish. Medium heat is enough to iron the saree, so unplug the straightener before ironing. 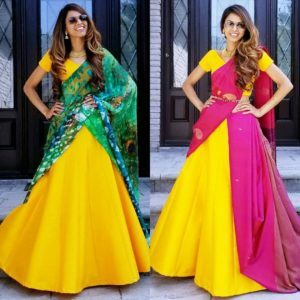 If you want to look slim and tall in saree, then follow the below tips. Choose light fabrics like crepe, georgette, chiffon or satin as these will give you a light and airy look. Go for elongated and smaller prints that scantily roll out across the saree, as this will make you look slimmer and taller. Another important tip to note is, opt for subtle borders, as it flows along your frame and makes you look slim. Also, avoid wearing Heavy border and stiff fabric sarees as these will give you a wider look. Another way is to opt for an elbow sleeve or long sleeve blouses, as they give you an illusion of a taller frame. Follow all these tips to look slim and taller in saree. Now let’s look at some general Do’s and Don’ts you need to keep in mind while draping a saree. Never go for flat footwear as it will ruin your saree and make walking difficult. Rather, go for pointed heels that look good with your saree. Also, it is advisable to wear footwear before draping the saree. This adjusts the height of the sari to the added height of the footwear, and will give a perfect finish to your saree. This is the common mistake that many of us do! Pleating the pallu. If you are opting for smaller pleats, – let’s say, 6 pleats, then make sure that the pleats flow over and cover the blouse completely. Else it gives an awful look to your entire outfit. For a better look, you can opt for a waist belt that suits the saree. This will help the saree pleats to stay stable and avoid misconception. Other than that, wearing a waist belt is one of the trending styles, so try it out! You can also wear thin elastic belts while opting for a 9 yards madisar saree! What we mean is, wear the belt before draping the saree as this will help to keep the pleats stable. If you wish to make the blouse the statement piece, then go ahead with plain or sheer type saree to highlight that. Some of the latest blouse designs are jacket type blouse, collared blouse and as mentioned earlier, waist belt blouse designs. Blouses play a vital role in saree. Choose the right blouse based on your body type. If you have a broad shoulder, then boat neck blouses with elbow sleeves will go well. If your arms are flabby, then deep back neck with long sleeves would work out well. For skinny arms, puff sleeves suit well. If you have a larger bust, then you can go for a deep back neck and plain in the front. High neck or Chinese collar will suit well for long necked people. Other than this, the colour of the blouse is the key factor. Rather than going for a blouse of the same shade, blouses of contrasting colours would give you a classic and graceful look. Avoid wearing blouses too low as it is an insult to the whole outfit. And do not be so covered up that it doesn’t make sense at all. Create your perfect look with right blouse. If you are going to wear a netted or chiffon saree, then allow your pallus to fall freely from the shoulder. Make sure that you keep the look soft by opting for right accessories and blouse. To manage the floating pallu in a get-together, and while eating in a buffet, you can raise the pallu till the elbow and pin it. This will help you to carry the saree in a comfortable way. Saree has poise on its own. So, it’s always better to carry a small bag or clutch. On the other hand, carrying saree is itself a big task, so avoid loading yourself with extra stuff. Above all, it is very important to have patience and leisure time to drape a saree. A hurried draping will definitely result in a messy look. Maintaining a saree is more difficult than draping it right? Here we have some tips for you! If your wardrobe is a large and spacious one, then you can hang the sarees in hangers. This will help you to get rid of a messy wardrobe and also maintain your saree’s life! For heavy designer sarees and silk sarees, you can use saree bags. This is one of the best ways to maintain your saree. You can also use this bag for long travels! Added to this, if you want your saree to last long, Then avoid normal soap wash. Instead, you can go for a shampoo wash, by just soaking your saree in shampoo water for 20 minutes and drain it out. You can try this method for all kinds of outfits like kurtas and shirts. For cotton and art silk sarees, laundering is the best choice. And don’t even imagine washing your silk saree! 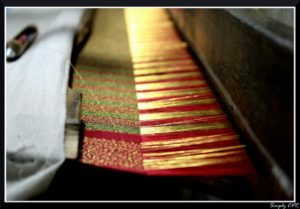 A gentle iron is all that is needed for a silk saree after every use. Likewise, it is important to choose the right accessories and hairdos to attain a perfect look for your saree. Also, make sure you have the right hairdo that enhances your outfit. If you are adorning a silk saree, then traditional pleat with flowers will suit well. Other than that, you can go for a high bun hairstyle which is the latest trend today. Follow all these tips to drape a perfect saree and let us know how it went! Okay, How do you check if your silk saree is made of pure silk? Here are some simple methods for you. Silk Burn Test– Take a few silk threads from the warp and burn them from the ends. When the thread stops burning, a very tiny ash ball might be left over. Rub the ball with your fingers and smell the powdered ash. If it is pure silk, then it will smell like burnt hair. Artificial silk will neither produce an ash ball nor smell like burnt hair. The smell would be similar to that of burning plastic with black smoke. 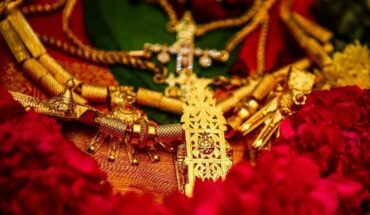 Zari test– To check whether the zari is genuine or not, scratch a small end of the zari from the pallu and scratch it against a stone. A real zari will reveal reddish silk! So, try this method and check whether you have bought a pure silk saree or not! If possible, try it before buying. 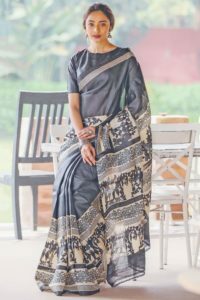 Are you bored of regular saree draping style? Then try out this cancan style saree draping. This is one of the new styles trending with youngsters now. If you love to wear flared outfits then it is the right choice. 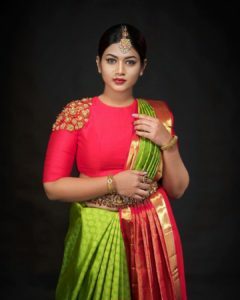 If you cannot afford a cancan petticoat then opt for a good fashion designer and convert your old silk sarees into a cancan petticoat. This will give a rich look as well as a big satisfaction that you have used your old silk saree well. Even many inspiring women like Mother Teresa, Ex-Chief Minister Jayalalitha, and even freedom fighters like Rani Lakshmi Bhai, and Sarojini Naidu have carries themselves in saree. This shows that saree has been a part of our life in all aspects. If you are looking for a professional saree draping course or class, then attend TBG’s Fashionista saree draping workshop and explore the new techniques.